Have you ever wondered how a search engine works? It must be fascinating figuring out how this search tool could direct you to several websites that are relevant to your keywords. Or, have you experienced instances where the link that supposedly contains your keywords is not exactly what you have in mind? You would probably think that there must be something wrong with the search engine that it generated irrelevant results. continue Reading to Know What Sitemaps is all about. There are three basic stages for a search engine: crawling – where content is discovered; indexing, where it is analysed and stored in huge databases; and retrieval, where a user query fetches a list of relevant pages. 1. Crawling: Crawling is where it all begins – the acquisition of data about a website. This involves scanning the site and getting a complete list of everything on there – the page title, images, keywords it contains, and any other pages it links to – at a bare minimum. Modern crawlers may cache a copy of the whole page, as well as look for some additional information such as the page layout, where the advertising units are, where the links are on the page (featured prominently in the article text, or hidden in the footer?). How is a website crawled exactly? An automated bot – a spider – visits each page, just like you or I would, only very quickly. Even in the earliest days, Google reported that they were reading a few hundred pages a second.Any site that is linked to from another site already indexed, or any site that manually asked to be indexed, will eventually be crawled – some sites more frequently than others and some to a greater depth. If the site is huge and content hidden many clicks away from the homepage, the crawler bots may actually give up. There are ways to ask search engines NOT to index a site, though this is rarely used to block an entire website. 2. Indexing: You’d be forgiven for thinking this is an easy step – indexing is the process of taking all of that data you have from a crawl, and placing it in a big database. Imagine trying to a make a list of all the books you own, their author and the number of pages. Going through each book is the crawl and writing the list is the index. But now imagine it’s not just a room full of books, but every library in the world. That’s pretty much a small-scale version of what Google does. 3. Ranking & Retrieval: The last step is what you see – you type in a search query, and the search engine attempts to display the most relevant documents it finds that match your query. This is the most complicated step, but also the most relevant to you or I, as web developers and users. The ranking algorithm checks your search query against billions of pages to determine how relevant each one is. This operation is so complex that companies closely guard their own ranking algorithms as patented industry secrets. Why? Competitive advantage for a start – so long as they are giving you the best search results, they can stay on top of the market. Secondly, to prevent gaming of the system and giving an unfair advantage to one site over another. Two things figure greatly in making search engines work effectively and efficiently: the electronic search spider and the sitemap. A sitemap is basically a page or pages that serve/s as a directory by listing all the links to all documents and files found in a website. It is not merely a random listing of links, but organized in such a way that it gives the web user an idea of how all the information that can be found in the site fits into an outline or framework. 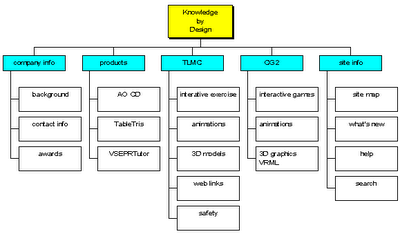 It is like viewing the table of contents of a book, or viewing the concept map of the site's content. In SEO language, spider is not an animal found in your closet. This electronic search spider is actually a bot which collects data and copies content to be stored in the search engine's database when keywords are fed into the search dialogue box. The spider reads the content of the site and sends another bot to follow the links and copy the content contained in them. What purpose does a sitemap serve? A sitemap like any other map gives directions to a navigator. It primarily targets search engine spiders so that they are properly directed to your site and to the links where keywords entered in the search dialogue appears. As such, it is actually a useful tool in search engine optimization. A well organized site map would guide the spider to find the information it needs when keywords are entered during a search operation. As an additional beneficial consequence, sitemaps have proven to be useful even to web users. Since a sitemap displays all the links to information found in a website, it helps the user to search for a particular topic in mind. Many users also use the sitemap to navigate between pages in a site. What are the benefits of having a sitemap for my website? 1. No page would be left unturned: Going back to the purpose of sitemaps, having one would mean faster and easier tracking and crawling of spiders all over your site. As a result, search engines would surely get to the view all the pages of your site and not just the pages containing random keywords. 2. Easier navigation for site visitors: Once a web user has accessed your sitemap, they need not go back to the search engine page to look for what they need. If what they are looking for is in your site, then they would have an easier and faster way of locating it. 3. Potential advertising value: If it so happens that a relevant product or service company reaches your site, then it would be easier for them to see how best they can position themselves in the different pages of your site as a paid page advertisement. 4. Encourage greater traffic to your site: If your company website has a sitemap then potential buyers would have an easier time in accessing your latest products and services. Moreover, they would not miss out on any product that might be off future interest to them since the sitemap would display all information found the site. There are at least three major types of sitemaps: indexed, full categorical, and restricted categorical. An indexed site map appears as an alphabetical listing or directory. A full categorical map displays all links classified into categories; while a restricted categorical sitemap displays all links listed in a chosen category at a time. The full and restricted sitemaps are very similar except that the former displays all links in all categories all at once in a page, while the latter focuses only the links under the selected category for easier and less eye-straining viewing. The most widely used format is the full categorical. Based on the results of a 1999 SURL study on sitemap designs, the full categorical format is most preferred by users since it is easier to search for topics within the site and it allows easier comparison between and among categories. 1. Link the sitemap only to your homepage: This is to ensure that the spider starts searching from your homepage down to all the pages listed in your sitemap. In this way, no page would be left unvisited by the spider. 2. Do not go beyond 30 pages for a sitemap: Large websites having 50 or more pages should not go beyond 30 since this adds more pages to the site, and might make search engines think that the sitemap is a link farm. Also, this prevents overcrowding of links which could be tiring to view. 3. Check all the links listed in your sitemap: It can be discouraging when you click on a link only to find out that nothing is displayed. Test your sitemap; click all links in every page to make sure that all links are indeed linked to the right page. 4. Give keyword-rich titles to sitemap links: Keyword-rich titles give your site more advantage in being searched properly under the right category. But be sure to have this sitemap link linked back to the sitemap (e.g. back to sitemap). 5. Provide a short description for the links in the sitemap: Doing so would give readers a better idea of what to find in the link and save them time on surfing. 6. Be consistent in designing your sitemap with the other pages of the site: Employ a recurring design and the same HTML template for all pages to establish identity and build character to your website. Now that you have learned basic things about sitemaps, maybe it is time for you to build one for your site.